To get our reply also type your Email address in the form below, and please visit this page again if you do not receive our message within 6 hours as it could be blocked by your Email service. We always reply to all messages. Hello, how long does delivery take ? Delivery takes only few days to most country, if you want to know exactly when you will receive your parcel, please contact us again to tell us the exact destination. BUY 2 GET 1 FREE: buy 2 items of any kind and choose 1 free product (any price but not higher price than any of the 2 items that you buy). 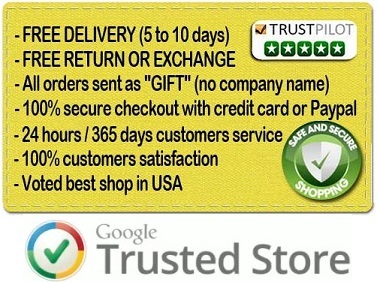 Copy the link to your free item in the “Comment box’ that you will see during checkout. Hey, do you guys ship overseas to Australia? Delivery is free to any country and we provide a tracking number for all parcels. BUY 2 GET 1 FREE: buy 2 items of any kind and choose 1 free product (any price but not higher than the 2 items that you buy).